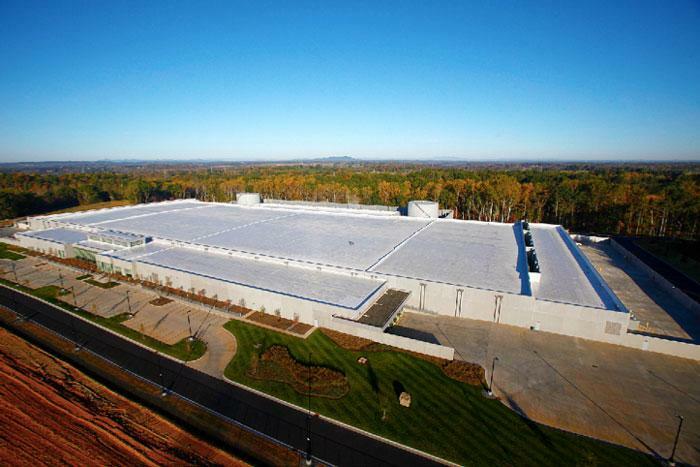 Apple has taken issue with the consumption estimates for its Maiden, N.C. data center included in a just-published "How Clean is Your Cloud?" report by Greenpeace, noting that renewable energy will provide 50 percent more of the center's power needs than the environmental advocacy group projected. Greenpeace on Tuesday gave Apple low marks in its new report and criticized it for its reliance on coal-based power. In the report, the organization dismissed Apple's renewable energy efforts for its Maiden, N.C., server farm as providing just 10 percent of "their total generation." The Cupertino, Calif., company quickly responded in a statement, according to NPR. "Our data center in North Carolina will draw about 20 megawatts at full capacity, and we are on track to supply more than 60 percent of that power on-site from renewable sources including a solar farm and fuel cell installation which will each be the largest of their kind in the country," said spokeswoman Kristin Huguet. "We believe this industry-leading project will make Maiden the greenest data center ever built, and it will be joined next year by our new facility in Oregon running on 100 percent renewable energy." Earlier this year, Apple confirmed plans to build a "green" data center in Prineville, Oregon. Greenpeace said in its original report that it had provided its facility power demand estimates to Amazon and Apple and both had responded that the figures were inaccurate. The group noted that it decided to publish the report anyway and invite the companies to "be transparent and provide more accurate data." The organization issued a follow-up post on Tuesday explaining the reasoning behind its estimate and commenting on Apple's response. "While we welcome Apples attempt today to provide more specific details on its North Carolina iData Center, it does not appear to have provided the full story, and is instead seeking to provide select pieces of information to make their dirty energy footprint seem smaller," the post read. Apple revealed in February plans to build a 20-megawatt solar farm and 5-megawatt fuel cell installation for its North Carolina facility. Both projects are the largest non-utility installations of their kind in the U.S. The Maiden data center opened last spring and provides support to Apple's iCloud and iTunes services. The company has pledged to spend as much as $1 billion on the facility over 10 years in exchange for tax breaks the local government. 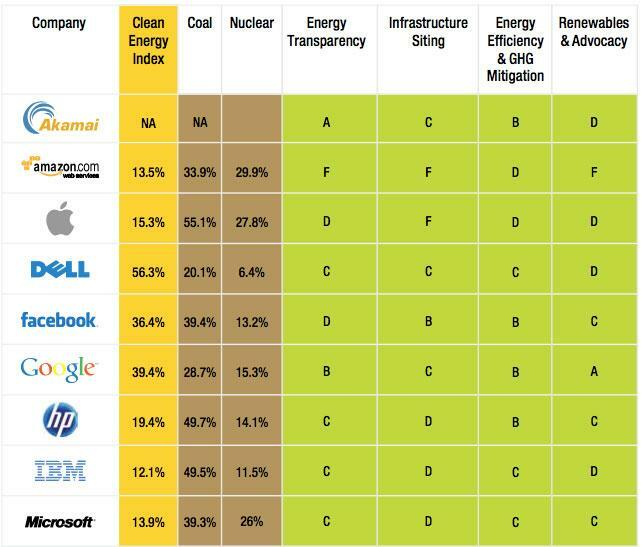 A "dirty data" report from the environmental watchdog last year gave Apple the lowest Clean Energy Index score among other technology companies such as Facebook, Google, Microsoft and Amazon. At the time, the group criticized Apple's decision to base the data center in North Carolina because the state is notorious for having some of the "dirtiest" electricity in the U.S.